So thankful for the sun! A whole week of sun just when I was starting to feel a bit desperate about all the Spring Rain. Park looking lovely in the sun! I’ve lived in W WA my whole life, and normally I embrace all that entails, even the rain. But, this year man it has taken it’s toll. I’m ready for sun, and summer!!!! This doesn’t seem fair mom. 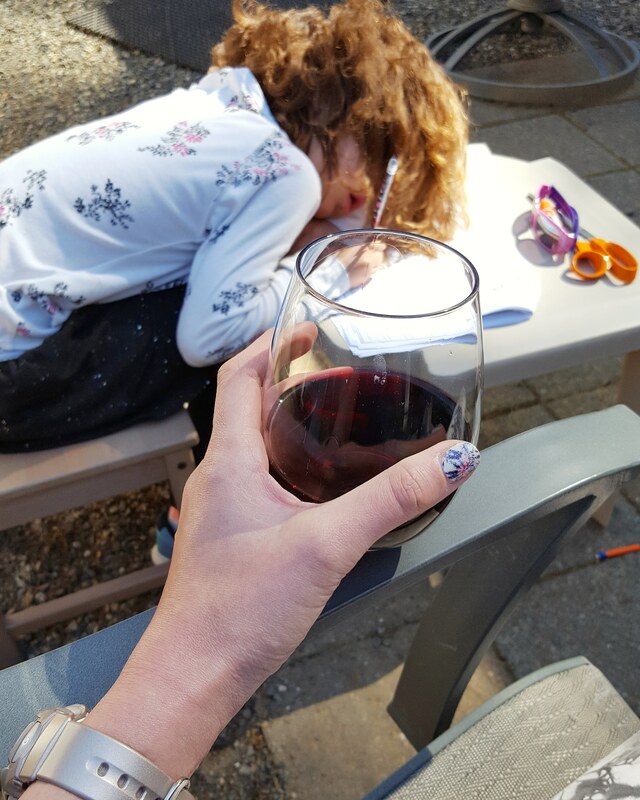 Her doing homework while I enjoy a glass of wine…seems fair to me! Thankfully we’ve had a stretch of sun, and warmth, and time outside to play, and plant flowers, and work in the garden. 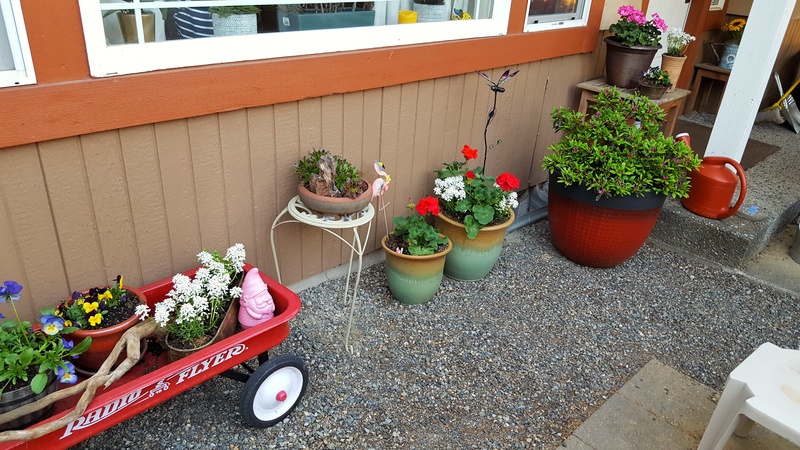 Having flowers planted make the house/patio feel alive! I love it! Just the fix to get us through whatever Spring brings our way…hurry up Summer!